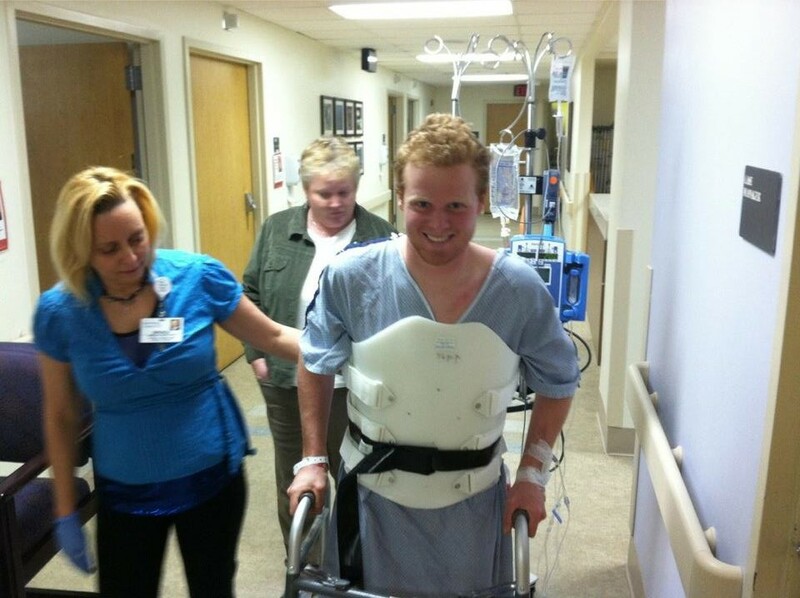 Trey Canard is on his feet! Sure is good to see God answer prayers with a big YES! He doesn’t always grant us what we ask for, but this time he did. Trey has been a blessing to us, and I am sure countless others. We pray that God not only blesses him with a speedy and full recover but also with the right words to inspire others that are struggling with similar injuries/accidents.